This article demonstrates the first basic application of my Stock-Flow Consistent (SFC) models package in Python: sfc_models. The code is under construction, and needs to be extended in many directions. However, with the core functionality built, adding new analytic capabilities should be straightforward. In this article, I explain how to implement the simplest SFC model -- Model SIM ("SIMplest") -- from Chapter 3 of Godley and Lavoie's Monetary Economics. 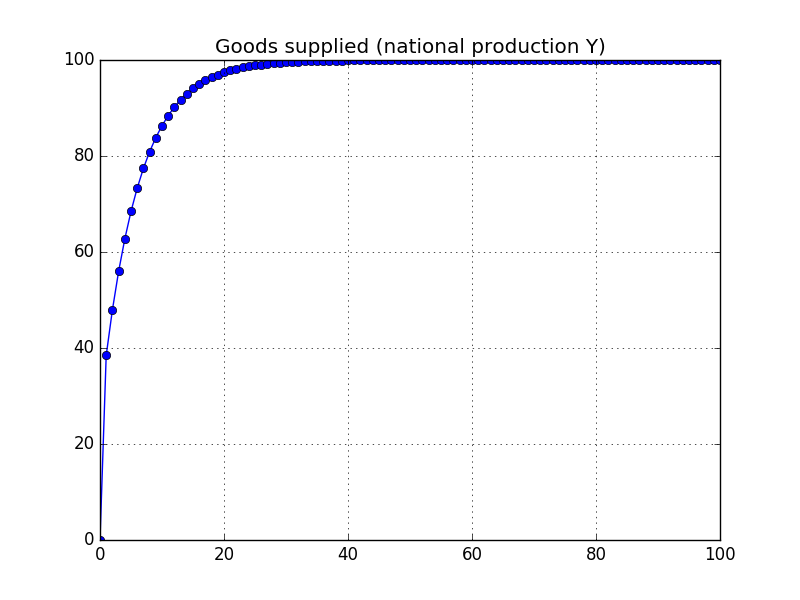 The key advantage of my library is that the user just specifies the high level description of the sectors of the economy, and the package generates the underlying equations. 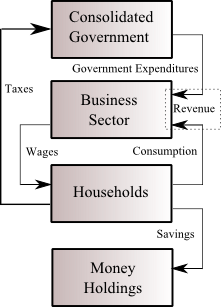 The model consists of three sectors. 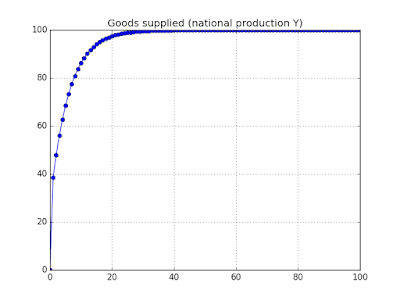 The Household and Business sectors are tied together by the labour and goods (final output) markets, while government activity just consists of an externally set ("exogenous") demand for goods. Equilibrium and Steady State in SFC Models. The package generates a rather impressive set of equations for such a simple model. The beauty of the sfc_models package is that the algorithm generates the equations, and not the user. This greatly reduces the tedium and risk of error when generating a large SFC model. For example, a multi-country SFC model will have multiple goods and sectors, which creates an extremely large number of variables that look similar, but have to be carefully tracked. The model solution is done within another file ("out_SIM_Machine_Model.py") which was machine-generated. Although this is somewhat eccentric, it was the safest (and most efficient) way of allowing for fairly general equation forms. The module sfc_models.examples.scripts.build_SIM_model.py does all the steps involved in building the model. In order to be more interesting, the sfc_models package will need to add support for more complicated interactions between sectors. I want to finish off my next book ("Abolish Money! "), and will then turn more attention to that task.